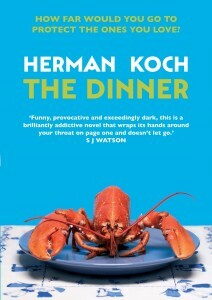 Paul, resentful brother of the more famous Serge, is the narrator of The Dinner, Dutch writer Herman Koch’s sixth novel. It takes place over one evening as the brothers and their wives meet in an incongruously fashionable restaurant with a grim and serious purpose: to discuss how they should deal with their fifteen-year-old sons who have collaborated in a cruel and callous crime. Their misdeed has been caught on camera and made its way onto YouTube, and the family knows that it can only be a matter of time before the boys will be identified and several lives – and one potentially glittering political career – are shattered by the consequences. At first the novel is rather fun. Koch catches the dynamics between siblings and spouses with a deft wit – the little marital struggle over who gets to face the wall and who to watch the room in a restaurant, for instance, and the tiny shifts of expression that can signal so much to one’s other half. There’s a hilarious set piece in a Gents where Paul is paralyzed with envy at the ‘steady, powerful jet of urine’ produced by the man beside him at the urinal. But this is a novel that misleads, that cleverly turns itself inside out, so that what seems funny, a quirky comedy of manners, soon turns very black indeed, and the comic unreliability something much more serious, complex and intentional than it at first appears. The Dinner, so deceptively light, at least initially, is packed with serious themes: class; snobbery; political insincerity; fame; sibling rivalry; mental illness; inter-racial adoption; racism and – something that arises from the teenagers’ crime – parental culpability. In this last respect I was reminded of Lionel Shriver’s We Need to Talk About Kevin and this book turns similarly chilling as we become acquainted with more detail of the dynamics between Paul and his son. We also discover that Paul is suffering from an un-named hereditary mental disorder – and so the question of whether his son is similarly affected arises too. This is a good read, a clever and entertaining book that teases by setting up and then dashing expectation after expectation. I felt a series of rugs being pulled out under my feet – and to mangle the metaphor, had to work hard to stay on my toes. 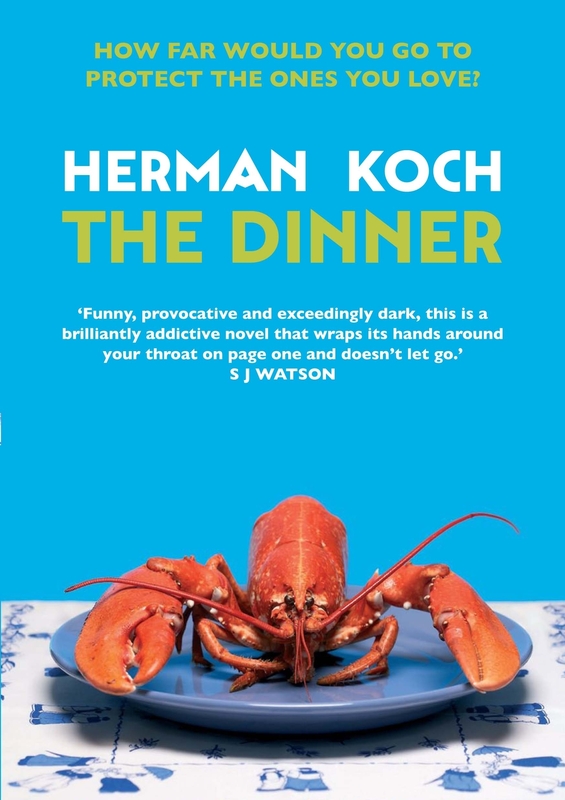 The Dinner is a tragi-comedy of middle-class pretension, manners – and, well, dinner, that while it fascinates may well leave you with a sour taste in your mouth.